Helping raise money for a good cause is good for the soul….and poker is fun! 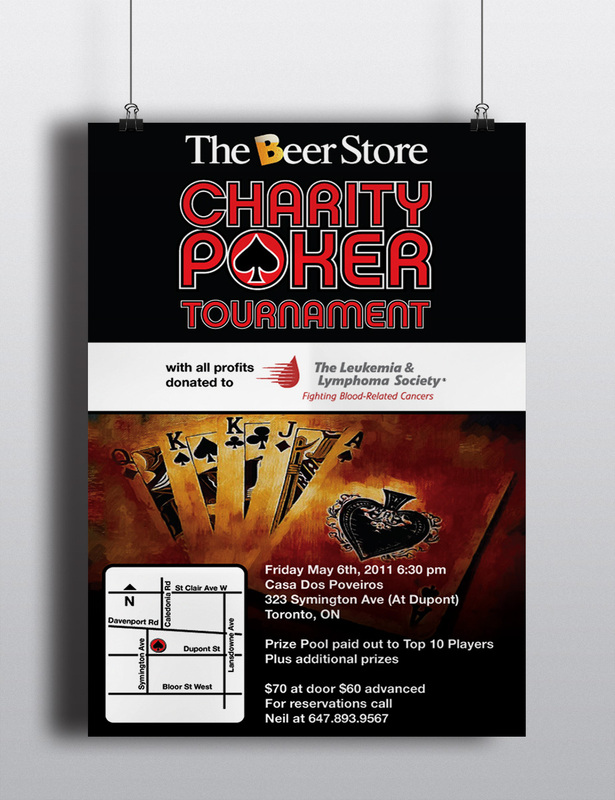 In addition to The Beer Store’s annual bottle drive for The Leukemia & Lymphoma Society of Canada, one of the Toronto stores decided to hold a Charity Poker Tournament and I did my part by offering some design and print. The result was a full house and a few extra dollars to help the LLS.